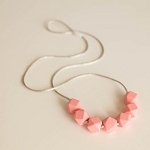 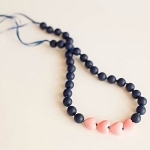 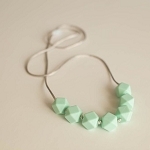 Silicone Teething Necklace's | Fashion Forward Teething Jewelry for Trendy Moms at SugarBabies Boutique! 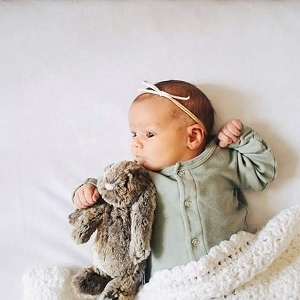 Trust your teething baby to Little Teether! 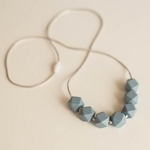 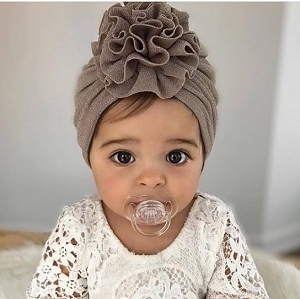 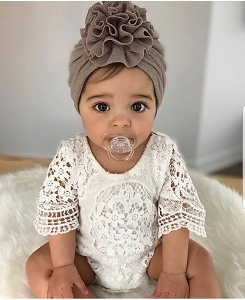 This mom owned company features fashionable chewable jewelry that cater's to teething babies, breastfeeding moms, or any parent that needs a quiet distraction when holding a busy baby. 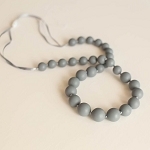 All of the unique designs are safe and fashionable; featuring non-toxic chewable beads that are tested twice, made from food-grade silicone and are Free of BPA, phthalates, lead, cadmium, and heavy metals.